In this edition, Neil writes about Aldous Huxley's After Many a Summer Dies the Swan. Along with his band RUSH, Neil is responsible for writing and performing some of the most adventurous music of the modern rock era. Like a 5A, but longer with a thicker taper and larger tip. Versatile. Use in quiet applications or when more volume is required. Heavier in weight than the hickory version. 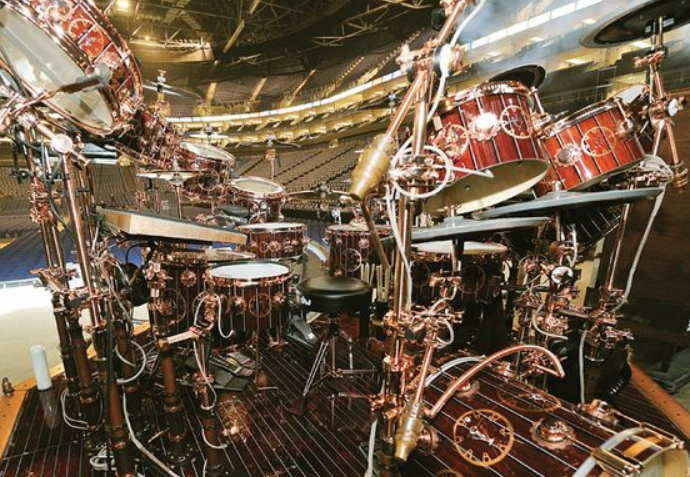 With RUSH'S "Time Machine" tour, Pro-Mark has created 3 different imprints of Neil's popular Shira Kashi Oak 747s. Of the 12 designs featured on Neil's "Steam Punk" tour kit, 3 of those designs will be featured on the sticks in copper ink. These sticks are special edition for a limited time! 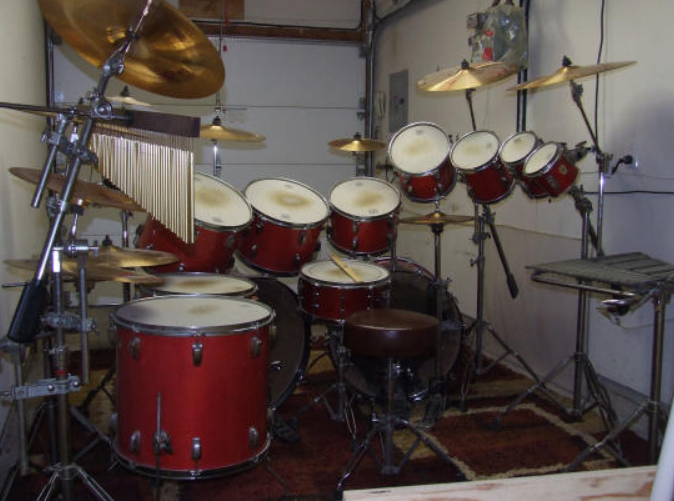 I've added some new and updated drum kit replicas (and some special Power Windows TV replicas) to the site. Stop in and let the owners know what you think! Thanks again to all the owners of these kits for sharing them. For all you Kindle readers out there, you can now purchase the electronic version of Far and Away: A Prize Every Time. You can now pre-order Rush's new concert video, "Time Machine 2011: Live in Cleveland." The video is scheduled to release on October 25, 2011 November 8. 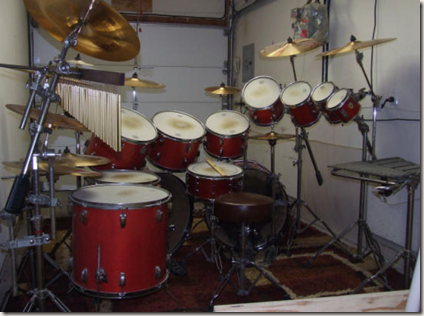 Some nice pictures of the "Time Machine" kit. 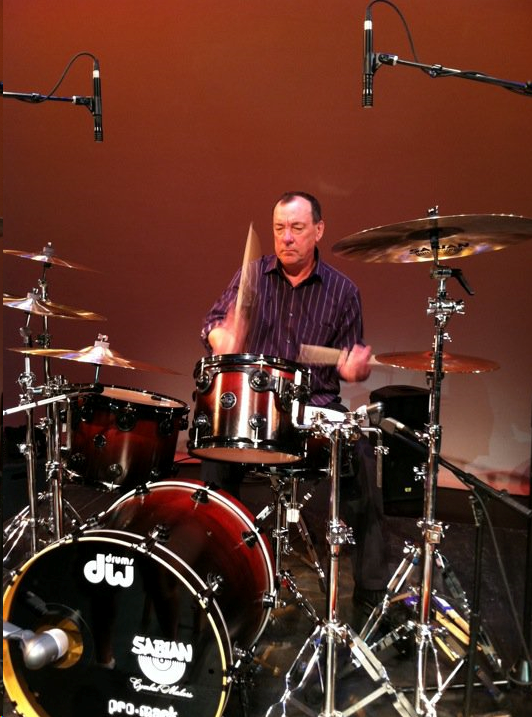 Also, there are excerpts from Rhythm Magazine's August 2011 interview with Neil and drum tech Lorne Wheaton. 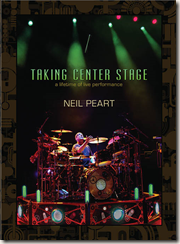 Neil Peart's new instructional DVD, "Taking Center Stage: A Lifetime of Live Performance," is scheduled for an October 14 release date. You can read the announcement here on MusicDispatch.com. Filmed in various locations over the course of a year, Neil Peart takes you on a behind-the-scenes look at Rush's 2010-11 Time Machine tour. 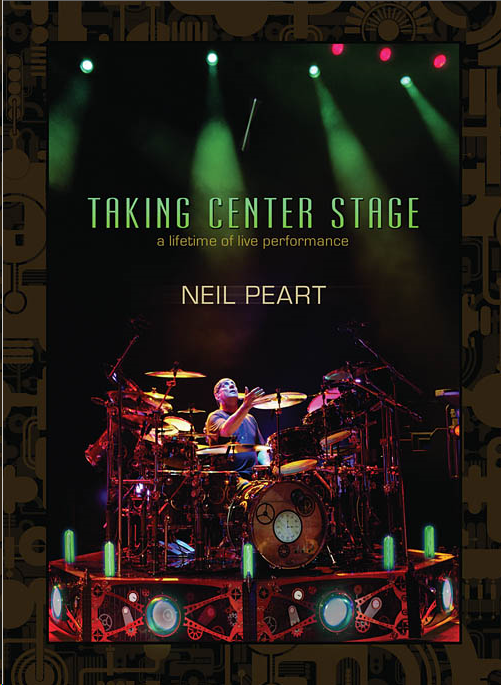 This includes rare and exclusive footage of Neil's personal pre-tour rehearsals and backstage events at a Rush concert (including a visit to the soundcheck, and an unprecedented backstage interview as Neil warms up for the show). Neil also presents a detailed look at every single song in the tour's set list. 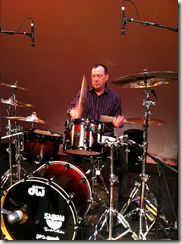 Each song features analysis and demonstrations by Neil, which are coupled with a detailed PDF eBook containing transcription of his parts. 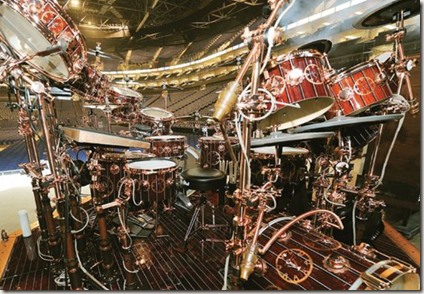 At the end of each song discussion, the viewer is transported onstage to a Rush concert to see the actual live performance of the song from the perspective of the drum cameras only. 6 hours, 40 minutes. Update: 8/10/11 - Pro-Mark article about Neil's appearance. Neil gave an unannounced drum class over the weekend at the 16th Annual KoSA International Percussion Workshop, Camp & Festival in Vermont. Hudson Music posted a photo on their Facebook page.